Robert Pattinson may be taking over Tobey Maguire’s role as superhero Spider-Man. 1. I hated Spiderman. 87% of the reason was Kirsten Dunst and her terrible hair (which did get better in subsequent films), and the rest was the fact that I hate Spiderman. There is only one good Superhero and his name is Batman and, ignoring the films of the 90s but definitely accepting the animation of the 90s, he is awesome. Spiderman is a whiny little emo kid, to Batman’s insane and bipolar, do-gooder freak. Cheer up emo kid. 2. I hate Twilight, though I don’t hate Twihards. I get it, I really do. I just, as a feminist, and as a person who is creeped out my Mormonism, don’t really approve of the creepy female hating/stalking is cool messaging in the book. And let’s face it, it’s no Harry Potter. Or Buffy for that matter. 3. I didn’t even like Roberto in HP4, though I was just generally not a fan of HP4. 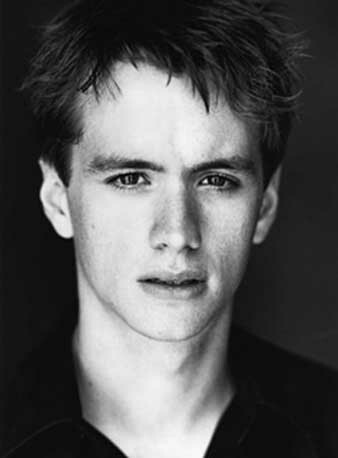 Let’s face it, he’s no Sean Biggerstaff. Real name.